The Jacobs Foundation Series on Adolescence presents state-of-the art research about the myriad factors that contribute to the welfare, social productivity and social inclusion of current and future generations of young people. 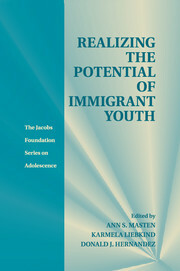 Sponsored by the Swiss Jacobs Foundation, the series offers readers cutting edge applied research about successful youth development, including circumstances that enhance their employability, their respect for and integration with nature and culture, and their future challenges triggered by global economic and technological changes. Contributing authors are internationally known scholars from a variety of disciplines, including developmental and social psychology, clinical psychology, education, economics, communication, sociology and family studies.